Every athlete has a way of being taught and coached that ignites their passion for their respective sport. Taking the time to find out the most effective and efficient way to coach your athletes can eliminate many stressful coach/athlete interactions, and make for a more rewarding and successful journey between coach and athlete. After all, helping your athlete reach their full potential and their dreams is a journey, a process that may last years. Your coaching style plays a significant role in how this journey plays out and what each of you find at the end of this road you will travel together. When a coach is able to reach their athletes with effective and empowering strategies for learning, athletes learn faster, acquire skills and techniques faster, reach loftier goals, and enjoy their sport more. The experience of coaching is more enjoyable and rewarding for the coach as well. This doesn’t mean that you have to coach every athlete differently. It means that you can learn to coach using different teaching/learning styles with your whole team. This allows you to reach every athlete effectively. I hear from many coaches who are frustrated with their athletes lack of progress. I also hear from many athletes who are frustrated with the interaction that occurs between the athlete and their coach or coaches. 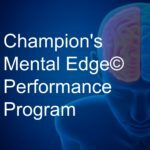 In many sports there is a dynamic in place where the athlete is sent clear messages to not ask questions, voice their opinion, speak up, or challenge a coaches tone, treatment and coaching techniques. The coach coaches and the athlete trains. The relationship is usually good until frustration increases and tension begins to build. The personalities of coach and athlete can change dramatically under this kind of stress. When something goes wrong in training, “corrections”, or feedback are given to help the athlete get back on track and progress. Too often these corrections bypass the athletes most effective learning style and the athlete does not improve as quickly as the coach might like. The coach might become frustrated, try to implement these corrections again, in an ineffective way, and continue with this cycle of ineffective coach/athlete interaction. Over time, more and more of the athletes energy goes into avoiding making mistakes and upsetting their coach. Coaches can begin to “put the athlete in a box” or see them as incapable or un-coachable. 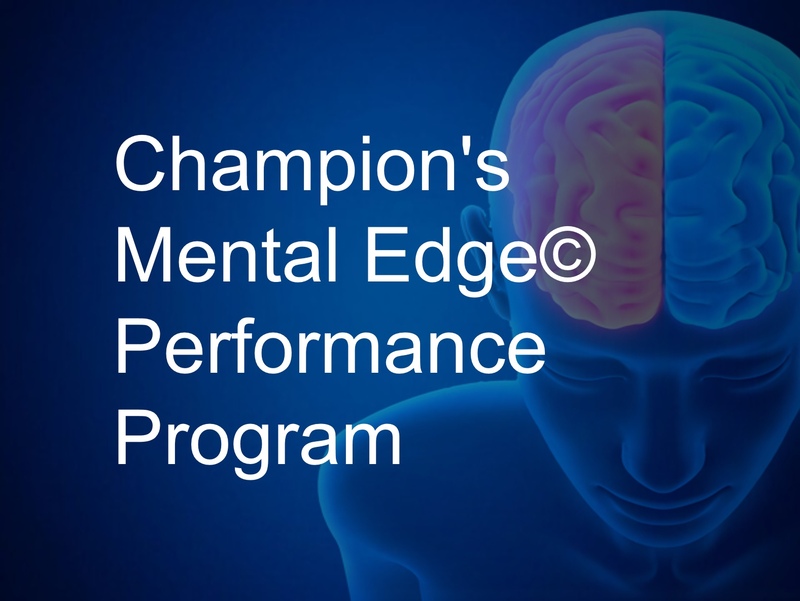 Mental and emotional energy is the driving force behind excellence and brilliance in sport. This energy is also critical to building confidence, passion and rock solid belief. Effective coaching helps the athlete channel this energy into the acquisition and mastery of physical skills necessary to compete at the highest level. Physical, mental and emotional energy moves in a highly efficient and productive direction. Ineffective coaching creates an environment where more and more of the athletes mental and emotional energy is channeled away from training and improvement. Personality can begin to change. The athlete can become passive, timid, too focused on avoiding mistakes, highly emotional, and afraid of upsetting their coach. The more shut down the athlete becomes, the more frustrated the coach can become. This can lead to intimidating behaviors from their coach such as ridicule, shaming, yelling and ignoring the athlete. In some instances the athlete receives extreme physical punishment or can get kicked out of practice. Every athlete utilizes a specific learning style or combination of learning styles to learn most effectively. There are four different learning styles. Visual Learning- Show the athlete visually what you want them to learn. Visual learners learn best by seeing what it is they need to work on or improve. Their brain processes information visually. Use video, images, illustrations or show the athlete the feedback or instruction you are trying to give them. Aural Learning- The aural learner likes to hear feedback, instruction, and correction. Tell them what you want them to learn. Make sure that they are paying attention and then give them feedback or instruction with your voice, a recording, or some other form of aural input. Reading and Writing– This learning style prefers to read or write about the improvements or corrections they need to make. When working on skills, they learn best by receiving written feedback that they can process. They also like to write or journal as a way of learning. Kinesthetic- This learning style likes to hear and see feedback and then go to work making the necessary changes or corrections to help anchor in effective learning. They process best by taking in feedback visually and/or aurally and then getting to work mastering the skills and corrections. Tell them what to do, show them what to do, give them something to read, and then let them get to work. They learn from making mistakes, falls, and others struggles. They need time to integrate and learn. I have worked with world class athletes in trampoline, men’s, women’s and rhythmic gymnastics, track & field, swimming, fencing, football, baseball, basketball, judo, figure skating, ballet, luge, skeleton, and other sports. These athletes come from all over the world and many different cultures. Those that have reached their full potential, in most cases, have worked with coaches who are open to teaching them in ways that maximize learning and evoke passion. This is a common denominator for success at the highest levels. This doesn’t mean that an athlete won’t reach peak potential with ineffective coaching and teaching. We have certainly seen this in many sports where the athlete is not allowed to question a coaches style or have a voice in their own training. 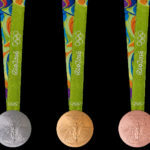 These athletes have become Olympic and World Champions. I strongly believe that these athletes could have been even better if they had been coached with more effective and empowering coaching and teaching styles. It is very frustrating for an athlete to have their learning style short circuited by a coach who only gives feedback one way. The athlete has to take in and process information, feedback and correction in a way that does not allow them to learn at the highest level. Most of these gymnasts are strong kinesthetic learners. They learn best when their coaches show them what they want them to work on or correct, and at the same time tell them what they need to improve or correct during training. The gymnasts is then empowered to get to work integrating the feedback they have received. They work hard, struggle, fall, and are free to make mistakes. The coach gives them more visual and aural feedback and corrections. The gymnasts then goes back to work integrating and learning. Gymnasts learn skills faster, increase the difficulty and execution of their routines, and progress in their development at a much higher level. 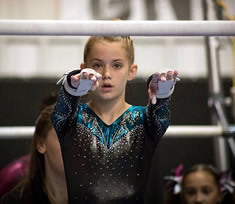 Many coaches interrupt their gymnast learning styles by getting on them when they make mistakes or make them do conditioning if they don’t get a “correction” quickly, or the first time. In worst case scenarios, coaches kick their gymnasts off of the apparatus or out of the gym. This is incredibly unproductive. Gymnasts don’t get better sitting on the sidelines watching or skipping an apparatus that they are struggling on. It is also very embarrassing for them, and it breaks trust with their coach. Kinesthetic learners learn best when they are free to make mistakes. 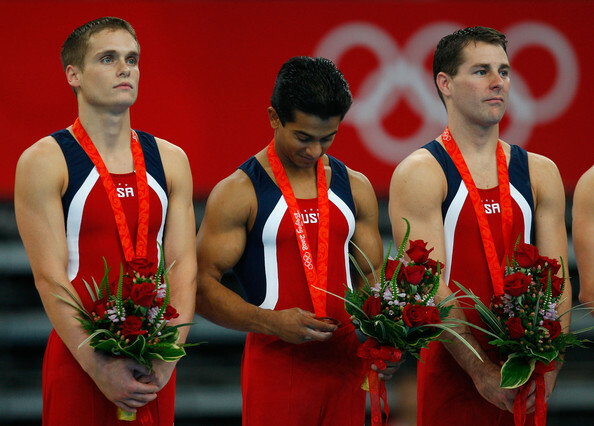 Many coaches punish their gymnasts for getting emotional during training. They don’t understand that their coaching style might be contributing to the gymnasts frustration. The gymnasts is afraid to make mistakes. They are afraid to upset their coach. When the brain focuses on not doing something, it is guaranteed that they will experience more struggle. And most likely make more mistakes. I work with gymnasts whose coaches tell them “you will never improve if you don’t get corrections the first time”, “you will never make it to level 10 if you keep making mistakes”, you will never make national team if you don’t get this skill by next camp”. If the gymnasts doesn’t improve quickly, the coach becomes frustrated. These coaches don’t understand that if they create an environment where it is safe for their gymnasts to struggle, they will go far beyond their current skill level. 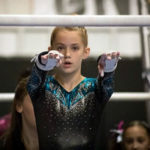 Kicking them off the apparatus or out of the gym, shaming them in front of their teammates and yelling at them will only increase the gymnasts upset and the coaches frustration. These types of coaches are usually highly reactive, meaning they bypass their most effective coaching traits and go strait to negative and dysfunctional methods of coaching when things aren’t going well in the gym. If we retain the old abusive culture, nothing will change and we will continue to experience athletes with no voice, no sense of personal power, poor interpersonal boundaries and life skills, and low self esteem. I think it is safe to say that in gymnastics we all know where this type of coaching has gotten us. We are in the process of building a new culture in gymnastics. It will take open minded coaches willing to ask questions, seek out information, show a willingness to learn and admit mistakes, listen to their peers and pay attention to interactions with their athletes. This open minded coach will become a better coach. Athletes will grow in confidence and belief in themselves. They will acquire skills faster and reach higher levels of success. They will show up authentically and will be free to express their unique personalities in their gymnastics. And I believe they will achieve greater success. What kind of coach do you want to be? The USAG sexual abuse scandal has rocked the gymnastics community to its core. Many are questioning what went wrong, while others seek to maintain the status quo. Certainly the focus needs to be on healing the wounds that this horrendous abuse has caused, and educating coaches, gym owners, administrators, parents, and athletes. Perhaps an overhaul of the leadership body of USAG is in order, as is being called for by many. Very prominent gymnasts are speaking up. They are courageously vocal about their treatment in the USAG system. The deeper question that must be asked is what made the gymnastics community vulnerable to this type of abuse? And why was it kept hidden by USAG for so long? 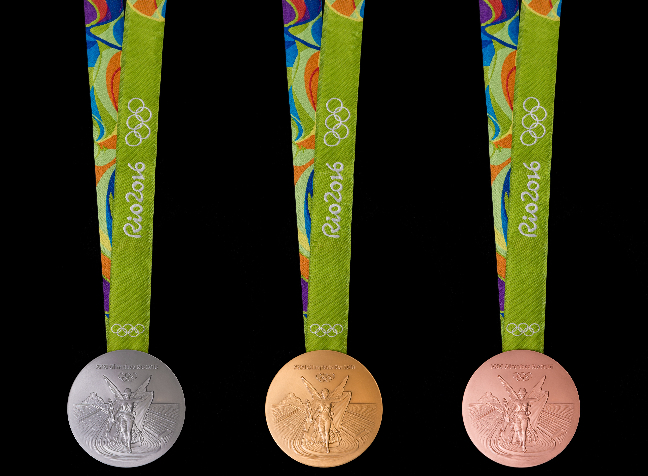 I worked with the U.S.A. mens national, world, and Olympic gymnasts, and teams from 2007 to 2012. I resigned from this position after the London Olympics for what I, and others in the system saw as a failure to address key leadership issues that led to poor performances in the 2012 Olympic games. Unfortunately these same program deficiencies were still in place for the 2016 Rio Olympics and the men’s team had another disappointing almost identical performance. I worked with Simone Biles for 3 1/2 years before the 2016 Rio Olympics. She been very vocal about our work together. I did not work directly with the women’s program as I did with the men. But I have worked with many gymnasts in the USA Women’s National program. From this work I was able to gain a deep understanding of the inner workings of the women’s system and the culture that was in place. In my work with gymnasts of all levels, throughout the United States, and other countries, I have seen many different cultures from program to program and gym to gym. One disturbing theme I have seen in many, not all, but many gyms, and in my individual work with many male and female gymnasts from all over the United States is a culture of disempowerment. Don’t challenge or question a coach’s authority. Don’t have a voice or speak up to address any concerns you have as a gymnasts. Don’t utilize personal power in your relationship with your coach. Don’t complain about the way you are being treated. If a gymnasts breaks any of these “cultural norms” they are subjected to an increasingly harsh retaliatory set of behaviors from coaches and others in the system. This sets in place a dangerous dynamic between coach and athlete. Yelling, screaming, shaming, degrading, and humiliation are the first shaping behavior the coach uses to mold the gymnasts into a silent participant in this dance. The usual response to this harsh treatment by the coach is that the gymnasts shuts down. They get quiet, turn inward, become highly emotional, cry, and get easily frustrated. They tend to make more mistakes. This causes the coach to become even more frustrated, and absent of the coaching skills or interpersonal tools required to handle the athlete in this state, the coach becomes more agitated and turns to physical punishment. They implement rope climbs as a form of punishment, running as a way of letting the athlete know that coach is not pleased with their behavior and training. They kick the gymnasts out of the gym, or send them home, the ultimate form of humiliation. They call this conditioning. I understand that conditioning is a critical component of gymnastics training. This retaliatory behavior is not healthy conditioning. It is abuse. Some coaches stop coaching gymnasts who don’t follow the rules. Now the coach has become part of the problem. Where an athlete might have had natural fears about difficult skills, or returning from injury, now the athletes brain sees the coach as a threat. More and more of their brain power is channeled into protecting themselves from their coach’s wrath instead of improving gymnastics skills. I asked one athlete who was being treated harshly by their coach how much of their mental and emotional energy was going into gymnastics and how much was going into protecting themselves from their coach. Their answer was alarming, 20% gymnastics, 80% defending themselves from their coach. This sets in place the victim-angry coach dynamic. The athlete becomes the victim. Has no voice. Can’t speak up or defend themselves. They can’t communicate fear, injuries, or concern about the coaches coaching style for fear of retaliation. They start focusing more on avoiding the coach’s anger and become terrified of making mistakes. What used to be a fun sport for them has now become an anxiety producing experience. I have worked with gymnasts who sit in their car and cry before they go into the gym, because they are terrified of going to practice. I have worked with gymnasts whose coach stopped coaching them during competitions because they were so frustrated and disappointed with their gymnasts. Not only is this unethical, it is dangerous. I witnessed this dynamic in the men’s program. There were instances where scores were changed that effected the outcomes of meets, athletes found their own sponsors and suffered scrutiny for doing so, favoritism was given to certain athletes. Coaches and athletes were trained not to speak up or challenge the system. Coaches and athletes were first met with anger, then displeasure and silence. Assignments might be taken away or not given out. A coach might miss out on an important assignment for rocking the boat. An Olympic pole vaulter that I worked with when they competed is now a pole vault coach. I had breakfast with them recently and they ask me what was going on with gymnastics? They went on to tell me that they have a lot of former gymnast come to them to start pole vaulting. This coach told me that these former gymnasts are all the same. They are quiet, very introverted, afraid to make mistakes, afraid that they will be yelled at by their new coach, and are afraid to let the coach know when they are injured. This coach has spent a lot of time and energy retraining them. They have had to teach their athletes that they can speak up, be vocal, communicate with their coach, let them know about injuries, and most importantly make their new sport fun. I have been one of the more vocal and outspoken voices for change over the last 5 years. I have complained enough. Now I want to suggest changes that must be made to create a new culture in USA Gymnastics. We must educate our athletes! They must be taught what healthy, appropriate athlete-coach interaction and relationships should be. They must learn that they have the power to set boundaries and limits with coaches who treat them abusively. They must be taught that there is a leadership body in place that will hear their voices and handle their complaints and concerns quickly and efficiently. They must learn that gymnastics can be fun again. We must educate the silent parents of our gymnasts. Too many parents have sat back and said nothing when their child/athlete has been humiliated, ridiculed, abused mentally, emotionally, physically, sexually, and spiritually. These parents have been afraid to speak up for fear of retaliation against their child/athlete. Many are afraid to speak up because their coach might treat their child/athlete worse, stop coaching them, or kick them off the team. The gymnasts don’t want to leave the gym because they don’t want to leave their friends, even though they are being treated abusively by their coach. They are afraid to move to another gym because they might end up with another abusive coach. So the gymnasts remains stuck in an abusive bind. 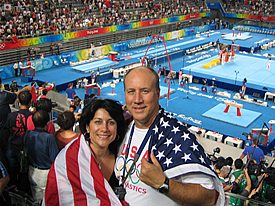 I have recommended parents contact USAG several times over the last 10 years. I suggest that they read the Coaches Code of Conduct out loud to “leadership”. One parent received the following reply to their complaint, “what am I supposed to do?”. We must educate coaches about the new and evolving culture that so many of us want and demand in gymnastics. This must be a culture that goes beyond teaching gymnastics skills and teaches coaches about human development, personal empowerment, conflict resolution, stress management, sexual abuse, and personal accountability. Coaching workshops that address these core concepts and others must be mandatory at USAG Congress, and Regional meetings. We must demand a leadership body that is accountable to creating safe, positive, and empowering environments for our gymnasts. I have hit the wall that has existed in the current USAG system. I have been shouted down in post Olympic meetings for attempting to hold “leaders” accountable for their actions that led to disastrous performances by talented athletes. This has trickled down to local gyms where I have taught gymnasts and parents how to be vocal and empowered in the face of abusive coaches. I have had gym owners and coaches label me as the “bad guy” for educating these same parents and gymnasts. These gym owners and coaches don’t allow me access to their teams and gymnasts any longer, and stop referring me athletes. The message they are clearly sending is that they would rather continue in their toxic culture, than learn and grow as a gym owner and coach. Leadership always starts at the top. Demanding a leadership body that will implement this new culture will begin the trickle down process that will eventually work its way down to the club level. But we must educate! Working with Simone Biles allowed me to see that this approach works. Simone and her parents have been very vocal about my work with Simone, speaking openly in Texas Monthly Magazine, ESPNW, The LA Times, Washington Post, and other media. Simone’s parents and other family members understand their role and strive to be supportive to Simone. They feed positive energy into the system. Simone’s coach Aimee Boorman understands that Simone must be authentic to be her best. She must show up on the floor being Simone. She understands that Simone must trust her, that they must be able to work through conflict and resolve differences for Simone to reach the remarkable level of gymnastics that she has achieved. Simone’s parents and coaches are not threatened by me or my feedback into the system, rather they embrace it and strive to make the athlete, coach, parent triangle as strong and powerful as it can be. This same systemic approach is exactly what USAG needs on a much larger scale. I work with gyms all over the United States and Canada that are working with this empowering approach to gymnastics. They are open to learning more. They set up workshops for their gymnast, coaches, and parents to help continue to improve their culture. I know of coaches in the USAG system who understand this new model for coaching our gymnasts. They understand that personal empowerment, respect, and mutuality are key components to producing top athletes. Unfortunately I still work with gymnasts who have coaches who insist on continuing to rage, scream, yell, degrade, embarrass, punish and kick them out of the gym. In many instances, for making mistakes. The USAG leadership merry go round continues to turn. Hirings and firings are common place. Will we have leadership in place that is interested in creating a new paradigm and a new culture community wide? Or will the status quo continue? I intend to continue to be a voice for our gymnasts and educate them, their parents and their coaches. Things have to change. With gymnastics and cheer seasons up and running I thought it timely to re-publish this article on understanding mental blocks to tumbling and backward skills. When an athlete cant do backward skills or tumble it is not because they don’t want to. It is because their brain won’t let them. With one performance left on the biggest night of her career, Laurie Hernandez paused, placed her right hand over her belly and closed her eyes. She inhaled. Paused. Exhaled. She felt her belly expand and contract. She became aware of her breath. And slowly, the anxiety and adrenaline melted away. Then she raised that same arm toward the judges and turned to face the beam. “I was really calm before beam,” Hernandez said. “I was able to calm myself down and go out there and enjoy the moment.” It’s a technique Hernandez learned from sports psychology coach Robert Andrews, who heads Houston’s Institute of Sports Performance and also works with three-time world champion Simone Biles. Watch Hernandez closely before she presents to the judges at each rotation and there she is: hand over belly, gaze softened yet focused, her shoulders rising and falling with each inhalation. Laurie Hernandez’s pre-routine ritual includes this breathing exercise that calms her right before she goes. “And I pray,” she said.